15 *Awesome* Street Style Looks We’re Loving This Week! Keeping up with fashion can be a hard task, but with these amazing influencers showcasing their personal style and rocking the latest trends… it’s never been easier! If you love fashion as much as us, you’ll know what we’re talking about! Here are 15 amazing Plixxo influencers showcasing some of the best trends that are SO achievable! If you were wondering how to slay an all-black outfit, this is the way to go! Blogger Feroza Shaikh definitely knows how to rock this look. Polka dots have never gone out of vogue. Take a cue from Ashima Makhija, who really knows how to work the cute trend in this off-shoulder dress! Shibori tie and dye meets playful jumpsuit and looks absolutely spectacular! Blogger Urvi Mehta knows how to combine the contemporary with the traditional. 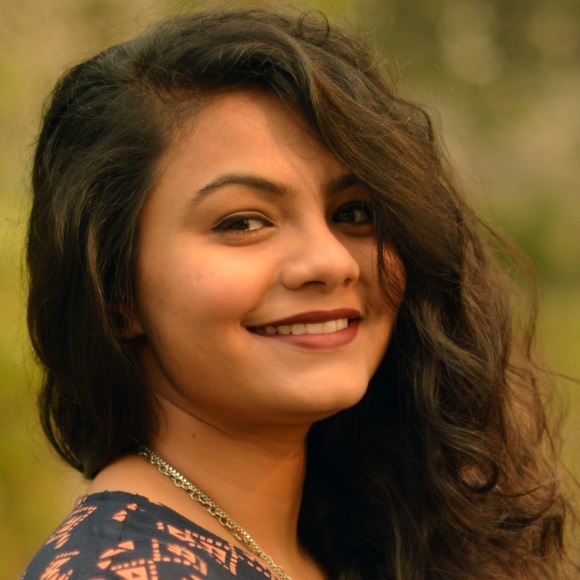 If you thought stockings were only for winter, seek some advice from Insta influencer Samiksha Agarwal on how to channel the trend in summer and monsoon and look absolutely fab! We’ve talked so much about cinch belts and blogger Aditi shows us how to nail it! If you want your waist to look slim and narrow, this is how to do it, girls! Mesh and sheer is a big trend this season and if you thought it was too outrageous to try, take a style tip or two from this blogger. She looks so amazing in this mesh dress paired with denim boots and a denim jacket! Corporate dressing couldn’t get cooler! If you have a workplace where you can’t wear whatever you want to, this is probably a great way to start experimenting. Muted tones and simple silhouettes fused to perfection as shown by Aleena! Styling backpacks is never easy… more often than not, you’re thinking of how to pair it and what to pair it with! This is how blogger Garima carries hers - with a cool pair of shorts and sneakers! A sporty chic look done right! Take simple slogan tee or dress, belt it up and pair it with leather boots to look really on point. This blogger has some serious swag! Wondering how to make that perfect DIY choker? Ask this blogger, who’s creatively used a lace border as a choker. Didn’t we always say we loved pastel shades but never knew how to wear it? This blogger knows how to slay coloured pants in the most fashionable way possible! Never thought you could style frilly tops with your basic jeans? This blogger right here shows you how it’s done and look stunning in it! The basic white shirt-blue jeans combo presented with an interesting element! Military greens aren’t the easiest colours to pair, but Naina Ahluwalia shows you how to work the trend so effortlessly! Keep it simple, stylish and fuss-free. Knotted tops and dresses have come about as the latest design this year and it’s a tricky trend to wear. Keep it simple and stylish and style it just like this fashionista! Midi skirts are so versatile and feminine. But if you’ve ever had a problem styling this, we’ve got Aditi Nagar telling you how to break convention and play cool in a bright scalloped top!